5083 aluminum coil alloy belongs to Al – Mg – Si series high magnesium content alloy, it cann’t be strengthen by heat treatment alloy, good corrosion resistance, good weld-ability and cold work-ability is good. After the anodized, 5083 alloy’s surface is beautiful. Arc welding function is good. For so many characteristics, 5083 aluminum alloy is the best material in marine industry. 5083 aluminum coil is the most promising alloy, its excellent corrosion resistance make 5083 aluminum coil widely used in Marine applications such as ships, cars, planes weld parts, metro light rail, etc., and pressure vessel (such as liquid tanker, refrigerated trucks, refrigerated container) of strict fire prevention, cooling device, television tower, drilling equipment, transportation aluminum, missile component armor. 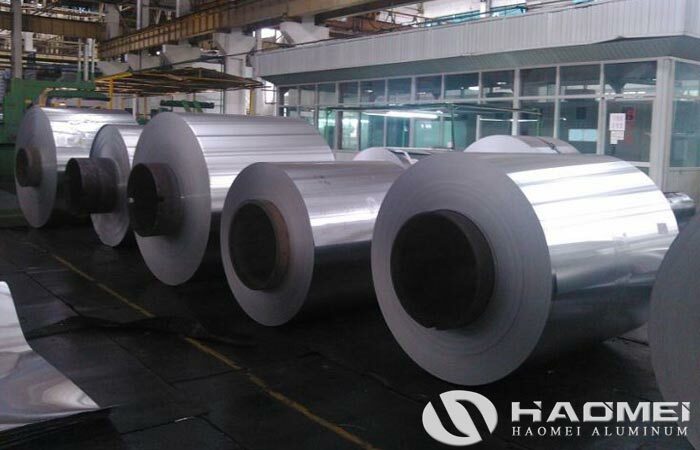 So 5083 aluminum coil is very popular in the market, Haomei aluminum have many orders demands of 5083 aluminum coil. Typical application: plate making printing plate making, image,,side hull planking, deck, the plane plate weld parts, tank car, oxygen generator tower body, and so on.